According to the recommended budget split, I hear you’re supposed to spend 20 to 30 percent of your income on housing. After my rent increase next month, I’ll have hit 50 percent. As I’ve pointed out before, my rent is now $1050 a month for a studio apartment. Before you gasp in horror, take note that the hefty fee also includes PG&E, water, and garbage, and access to a swimming pool. 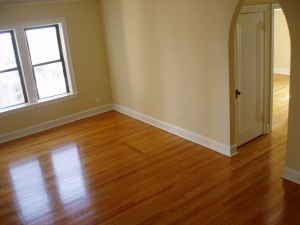 This gorgeous apartment has hardwood floors throughout, fresh paint, a lovely remodeled bathroom, and a walk-in closet. Located at the back of the building, this apartment is perfect for someone who enjoys peace and quiet. 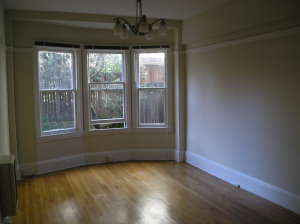 MODERN RENOVATED WINDOWED EAT-IN-KITCHEN WITH COUNTERSPACE!!! AND LIGHT!! IT’S SUNNY AND BRIGHT WITH PARK VIEWS!! 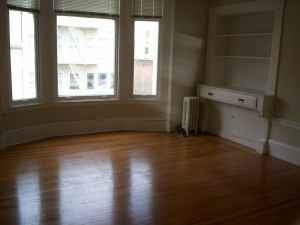 $1000 / 1br – Gr8 Price & Location?Rehabbed?FREE Heat, Gas, Water?No Dep Super location! Super price with lots of savings with free heat, gas & water!!! Plus everything has been rehabbed.. Check out the stats: • It’s a new rehab. • It’s a great price!! Heat, water AND gas is included in rent, and there is NO security deposit!! 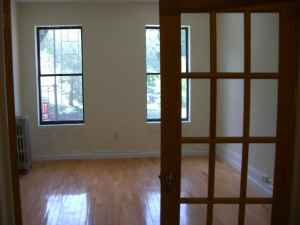 • It’s a bright unit located in a courtyard building w/ fruits trees!! 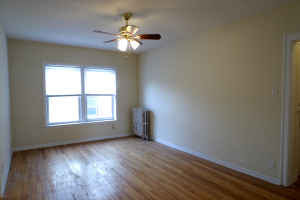 • It’s in a great location… Lakeview… walking distance to Wrigleyville, Lake front, gyms, restaurants and Lake!!! • VERY EZ access to CTA (bus and el)!! • It’s a REHABBED 1 bedroom about 500-600 sq ft. That means everything has been recently rehabbed!! New kitchen, new appliances including dishwasher, new hardwood floors throughout, new electric service, new dry-wall, new bathroom, new vanity. • Also, there is laundry & bike storage in building. • Cats and small dogs (30 lbs or less) allowed • Cable and internet ready. • 24/7 maintenance. $1045 / 1br – GET A JUMP START……………for August. Make sure you have a look at our building as part of your search. You will find a gorgeous vintage high rise across the street from the park, several blocks to the lake & Zoo, by boutiques, restaurants, bus stops, grocery. 24 Hour doorman, hardwood floors, fitness room, laundry facility, heat included, no security deposit. Call 773.477.7000 for an appointment. 401 W. Fullerton. What can you get for $1000-$1050 a month’s rent in your neck of the woods? I’m planning on following up with a post tomorrow to explain why I spend 50 percent of my rent on living alone, and why I’m damned happy I do it. Wow! This was such an interesting idea for a post. I love those HGTV shows where they compare say $500,000 in different parts of the country. This is a great take on that.Awesome blog! Wow, you all dish out quiet a sum for rent. I pay $1047 for my house 2400-2600 sq ft. In rural Illinois – about 1 1/2 southwest of chicago. I pay $710/month for a room in a 3 bedroom loft in Red Hook in Brooklyn, at least 10 minutes from the nearest subway and 3 blocks from the projects. It's an amazing deal. A studio here would probably cost at least $1200, or so. In a neighborhood closer to the subway and less close to the projects, bet on $1500 or more. You can't find anything for $1050 in most of Manhattan and the more popular Brooklyn neighborhoods. Plenty of people pay that, or more, for a bedroom in a 3+ bedroom apartment. Dont be fooled by the nyc apt. The location is SO far away from anything minutely 'new york'! Beginning in August I will be paying $1100 a month for a 3 bedroom half double with a basement (with w/d), giant living room, finished attic and backyard. If I were willing to live a little farther out, I could rent an entire 3 bedroom house for that much. I live in Columbus, Ohio.